I recently made chicken stock and since I cut up two chickens myself, I always have four breasts that I need to do something with. We’re not big chicken breast fans in my house. I usually pop them in the freezer to use later, or I make some chicken salad with them. 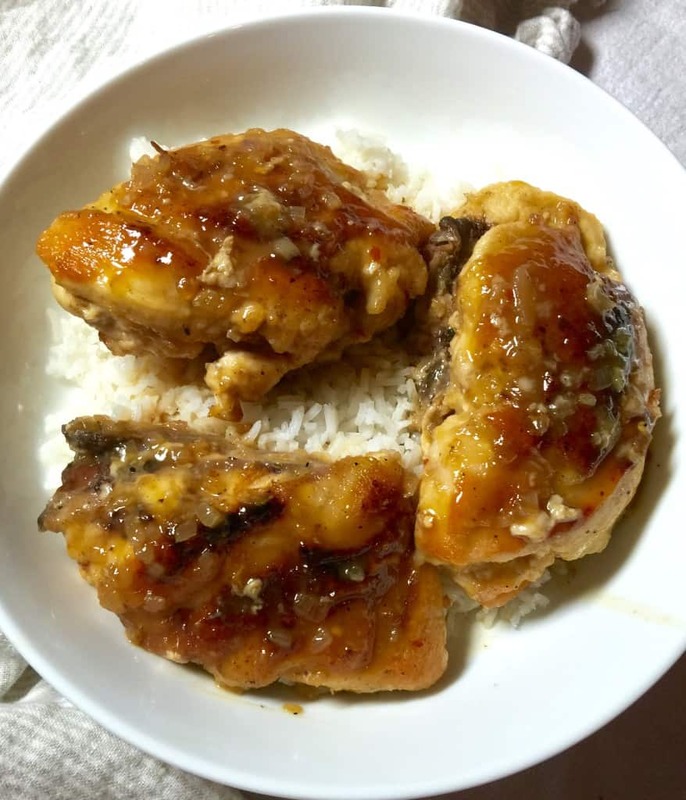 But then I remembered this recipe for making orange glazed chicken breasts. Delicious, not dry, not too sweet, and really flavorful. So I dug around in my messy drawer and found the recipe. The chicken breasts I used were huge, like ginormous. I cut them in half crosswise and used two whole breasts cut into four pieces. They were also ridiculously thick so I decided to pound them a bit, between two layers of plastic wrap with a rolling pin, I didn’t care if they weren’t boneless. It worked just fine, and they weren’t 5 inches thick any more. Four normal size chicken breasts would be the ideal here. The glaze is a citrusy reduction of orange juice, honey, Dijon mustard, some corn syrup and shallot. It is just the right amount of sweetness and stickiness to coat the chicken breasts. The glaze is delicious spooned over the chicken and some rice. 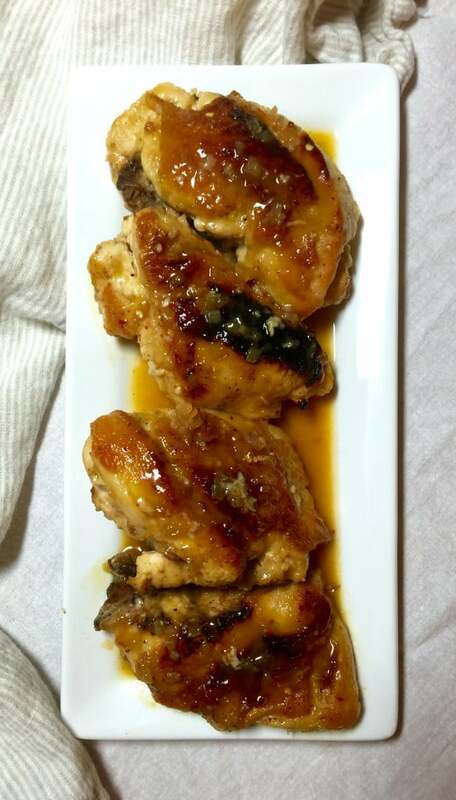 If you find yourself wondering what to do with some chicken breasts, try these orange glazed ones. They are simple and perfect for a quick weeknight dinner. 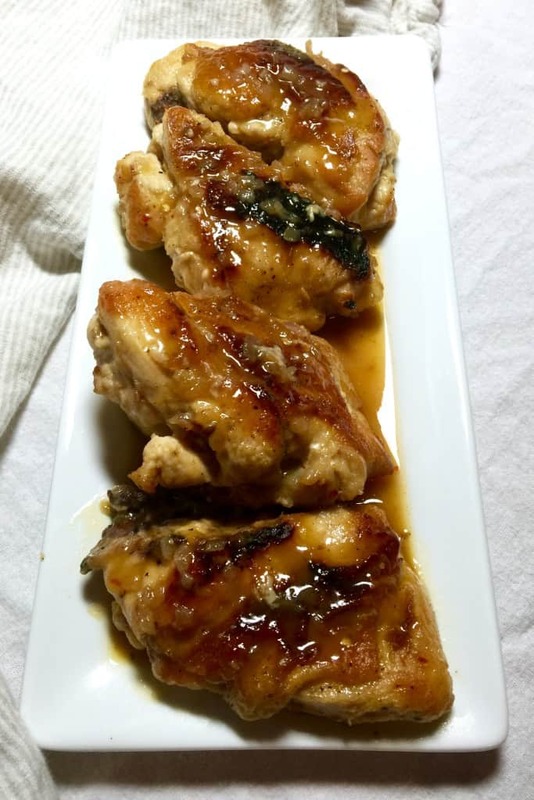 Delicious way to make bone-in chicken breasts, flavorful and tender, not dry and boring. Preheat oven to 375º. In medium bowl, whisk first 6 ingredients until combined. Season with a little salt and pepper. Set aside. 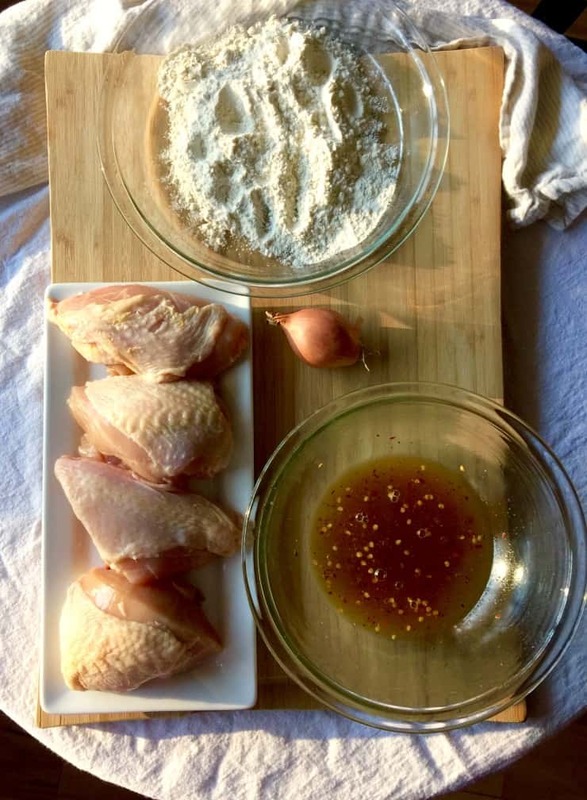 Place flour in a pie plate, season chicken on both sides with salt and pepper and then coat chicken in flour, one piece at a time, shaking off excess flour. Heat oil in a large ovenproof skillet until shimmering. Add chicken, skin-side down, and brown well, about 10 minutes. Lightly brown other side, about 5 more minutes. Remove chicken to a plate. Pour off all but 1 teaspoon of fat and add the minced shallot and cook until softened, about 1 minute. Increase heat to high and add the orange juice mixture. Simmer, stirring occasionally, until syrupy and reduced to 1 cup, 6 - 10 minutes. Remove skillet from heat. Tilt pan a little bit and use tongs to coat each chicken breast in the pooled glaze. 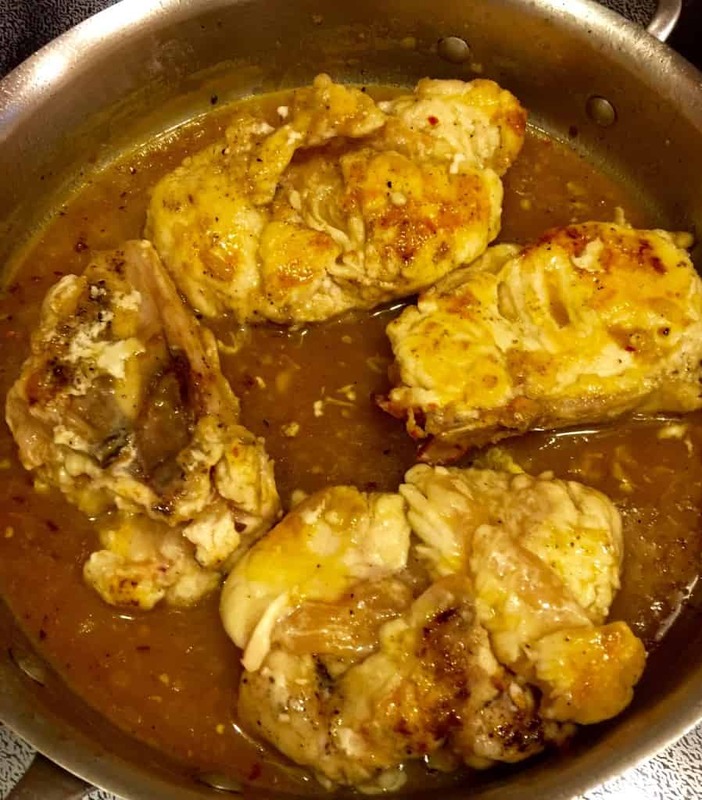 Arrange chicken skin-side down in pan. Transfer to oven and bake chicken until done, about 25 to 30 minutes, turning chicken skin-side up halfway through cooking. Transfer chicken to serving platter and let rest 5 minutes. Return skillet to high heat - BE CAREFUL, HANDLE WILL BE HOT - and cook glaze until thick and syrupy, stirring constantly, about a minute. A heatproof spatula should leave a wide trail when dragged through the glaze. Remove pan from heat and whisk in remaining 2 tablespoons of orange juice. 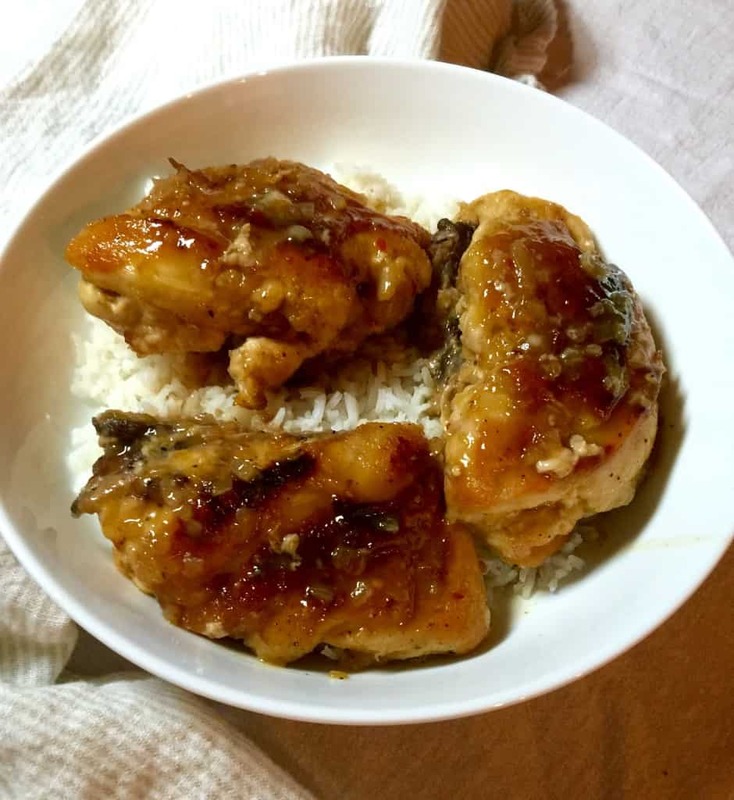 Spoon a little glaze over each chicken breast and serve the rest on the side and/or over rice.